This is a very ancient church. Although the main sanctuary is no longer used, it is still intact. 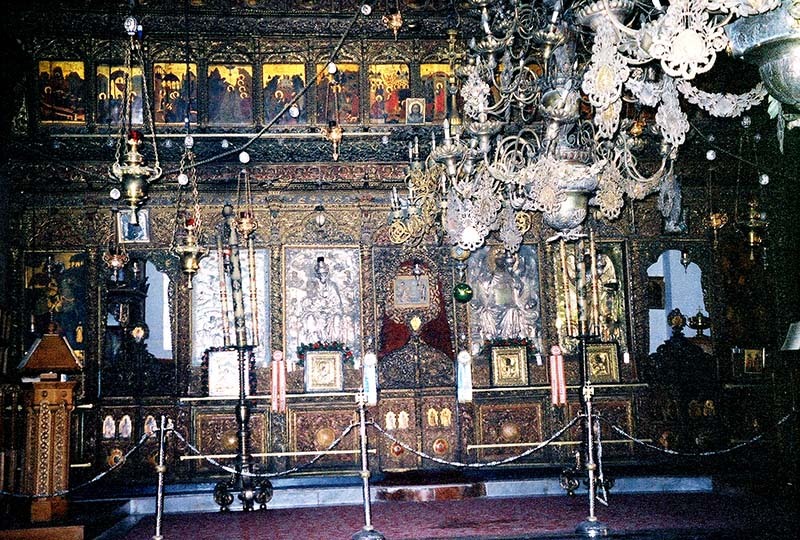 Built by Armenian Orthodox Catholics, it is filled with silver icons, painted icons, ornate woodwork, and fanciful hanging votive oil burners. 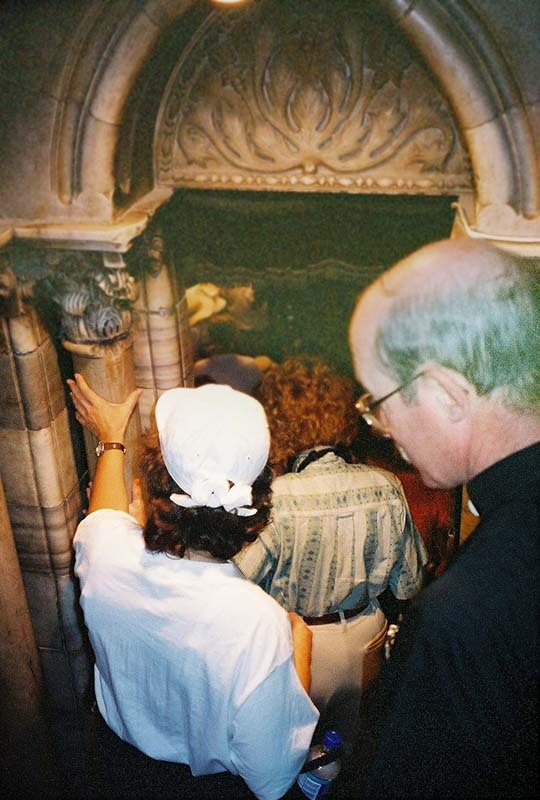 To find the place where Jesus was born in a manger, we have to go under this sanctuary.